If the way to the shops involves cycling past them and a loop of Hyde Park. I couldn’t decide what to do for my Janathon exercise today. Excuses and stay in my PJs, walk and do the shopping or go out for a cycle. My bike easily won because we hadn’t been out together since Wednesday. It wasn’t too bad. It was already getting late towards 3pm and had been gloomy and cold all day so few people were out. Even the last day of Winter Wonderland didn’t make the park as overcrowded as I have seen it in the past and I made good progress. 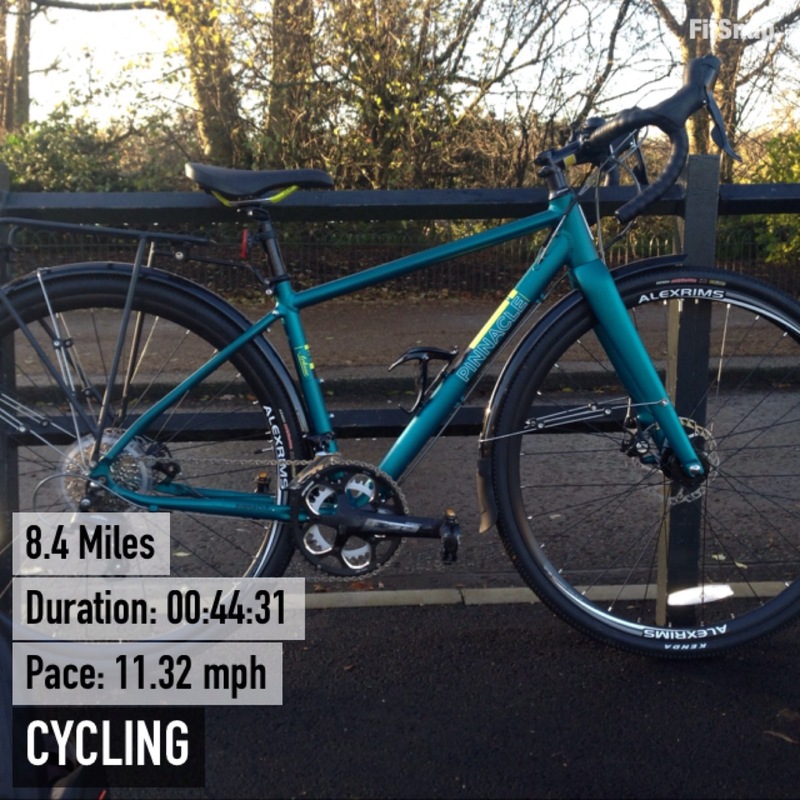 I enjoyed the weekend closure of South Carriage Drive and a long stretch of empty road to enjoy my relatively new bike and test out going up and down the gears and a bit of speed as far as I could dressed in skinny jeans. I didn’t see many other non Boris bike cyclists about, they had either been and gone early or were sensibly staying away until winter wonderland is dismantled over the next month Even speakers corner wasn’t a complete jam today. (Why they put the cycle lane straight through it baffles me, but that’s another rant). After half an hour my poor feet were getting cold. (Time to upgrade from Converse as my cycling shoes of choice.) So I headed back towards home and the shops remembering to stop and fill my panniers in Waitrose with something for supper. Janathon day 4 8.4 miles cycled. Categories: cycling, Janathon | Tags: Cycling, Hyde Park | Permalink. A good Janathon effort! I don’t know how you can cycle through a park at that speed though. If I’m on a cycle path, my speed goes down to about 8mph as I’m too scared someone will suddenly appear and I’ll run them over. Maybe that’s your plan?